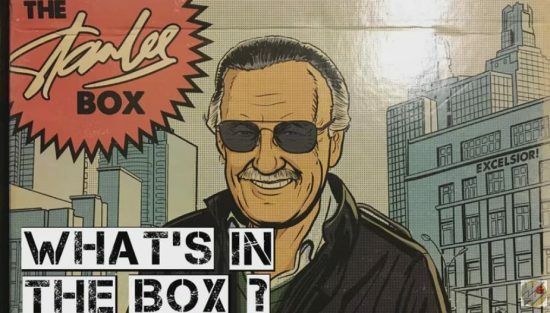 As you can see in the above video, the Stan Lee Box is pretty loaded. Coming in at a retail value of over $100 in items, there is a pretty distinct theme to this first box’s contents. Three of the items tie to Stan himself. Of those three, the graphic novel memoir is by far the most interesting and something that we hadn’t come across before in our travels. The Captain America Q-Fig was also a favorite as Q-Figs aren’t seen as often as Pops or even the Metal Die Cast figures which are dominating hobby shop and convention alike. It’s important to note that not everything in the box is directly related to Stan. While the original Captain Marvel was a Stan Lee creator, the box contains a Carol Danvers version of the character. You can check out the video above for a look at all the items included. The first of the series had a very strong Marvel vibe behind it as one would expect but from the look of their site, it is going to extend beyond that in future boxes. (Note two Batman action figures shown as examples on their ordering page.) Overall, the first box was a solid showing and it will be interesting to see what they follow up with in future versions.